• Reputable sneaker blogs dubbed these "one of the hottest '87s ever" and to be honest we find that nomenclature a bit pretentious for the Internet. 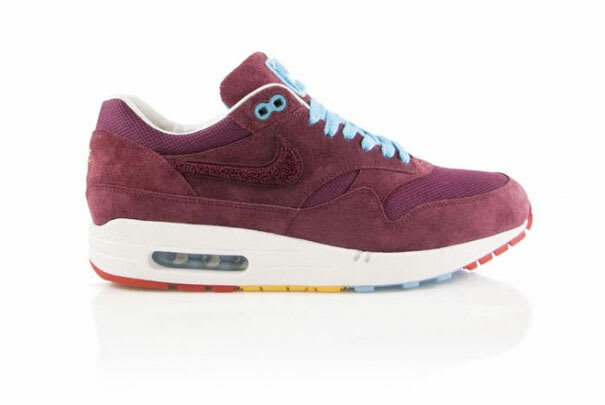 Whatever you want to call them, there is no disagreement that these are the Air Max 1s of the year. Parra and Patta know how to color sneakers and the burgundy suede is extra crispy on these 1s. Tinker has to be proud. Score another W for the Dutch.